Producing content aimlessly serves no purpose. All it does is create a disconnect between the content and the results. This happens because the content doesn’t conform to the different stages of a buyer’s journey – Discovery, Consideration and Decision. As a content marketer, you need to approach these three stages and their sub-stages with different content by understanding your buyers’ personas. This will ultimately drive them to take a favorable call-to-action. Uber urging customers to break the scented candle regifting cycle and opt for its gift cards helps them consider a different option. Another apt example is that of Netflix, which sends awe-inspiring and emails, which you can’t help but notice (and then, take an informed decision). It’s all about persuading your customers without breathing down their neck! When you want customers to engage with your product or a service, give virtual engagement a try like Fashion website Boohoo, which took it to a whole new level! They encased a golden shoe in a block of ice and announced a unique contest on Facebook in a post. Users had to comment on the post, which would turn up the heat and melt the ice gradually, leading to the shoe dropping. The last user to comment right before the shoe drops stood a chance to win £500 worth of Boohoo vouchers. Needless to say, this led to massive euphoria on Facebook and resulted in – 301K views, 3.2K likes, 755K comments and 498 shares! Quite the icebreaker this one! Let’s face it. Everyone loves a good laugh. And by everyone, we mean your target audience. Give them the reason to laugh just like Bark Box does with their goofy posts. Even UK-based juice firm Innocent connects to its fans and followers by constantly coming up with rib-tickling posts. This is by far one of the best ways to get noticed and get your follower count to increase because you are giving them a reason to like your content. Surely, they would return for more! Stories work wonders for brands and give them unending scope to experiment. 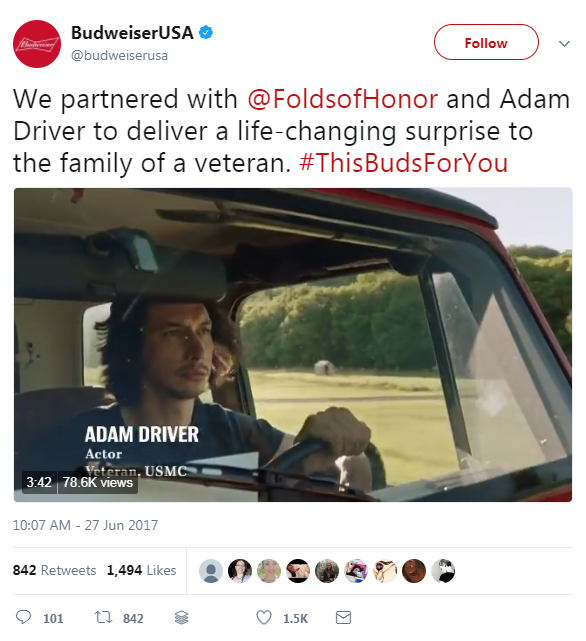 Last year, Budweiser, in a timely, patriotic ad for Fourth of July, teamed with Adam Driver to surprise a military family. Served with the hashtag #ThisBudsForYou they uploaded the video on Facebook, which generated 77.1 K views. The campaign is one of the several examples where storytelling worked its magic. The best part is that even with limited resources, you can stand the chance to tell some great stories and positively impact your target audience. It’s all about giving a subtle nudge to your customers and let them take it from there! You can achieve a strong, unique (and consistent) visual identity for your brand or business by coming up with guidelines and adhering to them while posting multimedia content on various platforms. It also includes your brand’s unique style of photography on platforms, where you want to build a steady fan base. Lowe’s Companies, which operates a chain of retail home improvement and appliance stores, demonstrate an amazing visual identity. Its trademark photos related to home improvement are way too amazing to ignore. And we can’t stop talking about its quick hacks in the form of short videos! Legendary pepper sauce maker Tabasco frequently posts a variety of visual content on their Facebook page, which are a mix of product photography, trivia, bite-sized information and recipes, which get thousands of views from its followers. If they don’t stop at one particular type of content, neither should you. With more platforms embracing visuals, go ahead with a mix of posts, which include but are not limited to – infographics, GIFs, videos (live, 360 degree, boomerang, slow-mo, time lapse), media cards, memes, comics, screenshots, minimalist illustrations, quizzes, CTAs, quotes and high-quality photographs. These will make your content interesting and easy to consume. Do it right and your content will have every potential to go viral. This takes us to the next point. Yes, there’s something called Instagram food trends. Starbucks often follows suit and takes its fans and followers by surprise. Remember their Unicorn Frappuccino, the Zombie Frappuccino and recently, the Christmas tree Frappuccino? All of them were massive hits and increased the excitement levels of Starbucks lovers manifold. The limited-edition Unicorn Frappuccino was in fact, one of the most Instagrammed drinks of the year that flooded people’s feeds. Likewise, aim for visual content that can go viral and generate maximum views, likes, shares, comments and other forms of audience engagement. Think along the lines of being bold and thinking different. The idea is to make your audience notice and keep them hooked! Occasionally, content marketers can also benefit from leveraging UGC or User-Generated Content. UGC can range from comments on posts to photos and videos uploaded as a part of a contest on social media platforms. Even Tweets with mention of a brand fall into this category and result in increased traffic, extended reach, enhanced metrics, and improved traffic, page views and follower base. 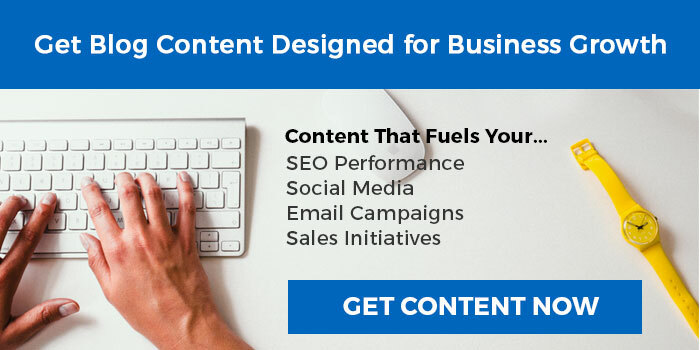 Tap into the enormous potential of user-generated gold mine and find out which of the original content created by your target audience will do the trick for you. Remember, nothing works like the word-of-the-mouth. This was the case with Marvel movie Thor Ragnarok, which was a runaway hit. Viewers took to the internet showering praises on the movie, which spread the word and urged others to watch it. Now that you know the definite steps for visual marketing, do plan and implement them in your campaigns. Let us know how you intend to use the pointers in the comments. Cheers!